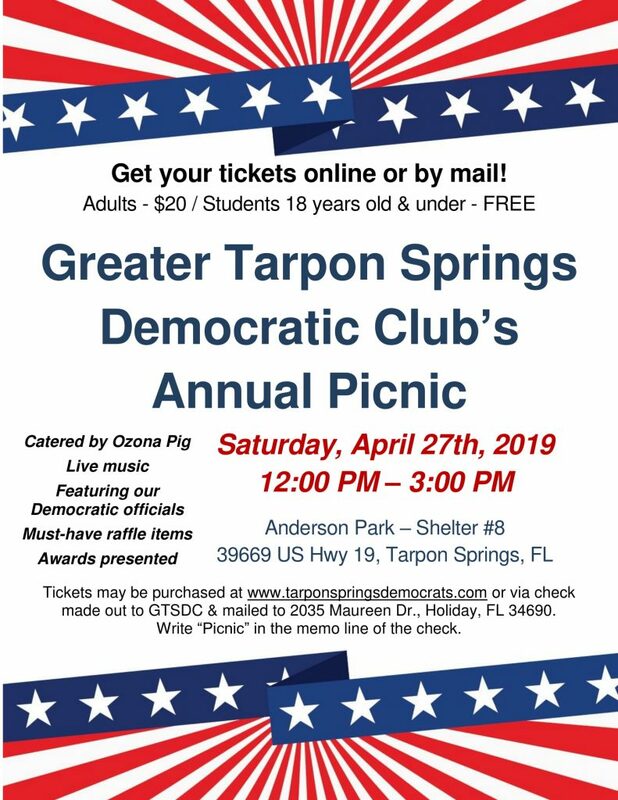 The Greater Tarpon Springs Democratic Club is an “Activist” organization whose job is to elect Democrats. The club is chartered every two years by the Pinellas County Democratic Party (PCDEC) and the Florida Democratic Party (FDP). 4. Phone banks, home visits, distribute signs…anything that helps get out the vote. Winning is pretty simple – Talk to your friends and be sure they vote! Increase your friends through registration drives. 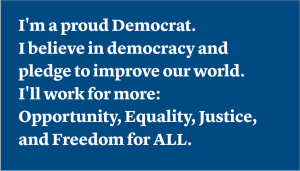 Democrats are people you see in your community: at work, at church, at the store and at the ballpark. We come from all walks of life, but our shared beliefs and values help shape a strong state and nation where every citizen has the opportunity to succeed. The following pledge was developed by the Greater Tarpon Springs Democratic Club members at a meeting in Spring 2012. The pledge answers the questions: “What does it mean to be a Democrat” and/or “For what does the Democratic Party stand”. It is recited just after the Pledge of Allegiance to the Flag at most GTSDC meetings to help us focus and remind ourselves of the work to be done.